From the Atlantic to the Pacific, the temples of Chichen Itza to the beaches of Cancun, an incredibly rich diversity of topography, geography and demography have helped make Mexico one of the world's most intriguing and accessible destinations for generations of travelers. Located just 30 minutes south of Cancun on the Yucatan Peninsula's east coast, Riviera Maya is a world unto itself. Far more than just a collection of pristine beaches, Riviera Maya offers everything from bustling nightlife in Playa Del Carmen to ancient Mayan ruins in Tulum. You can zipline through tropical rainforests, swim in a natural underwater cave, land a trophy on a deep-sea fishing expedition or snorkel the reefs just offshore. 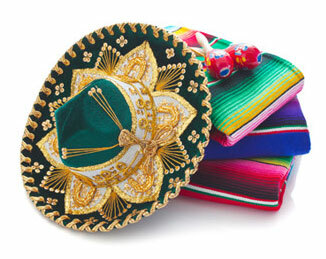 Wherever you go, the authentic warmth of the Mexican people will stay with you forever. El Dorado Spa Resorts, by Karisma, is a collection of romantic, classically elegant, unmistakably Mexican adults-only resorts on some of the finest beaches in Riviera Maya. Indulge in personal concierges and some of the best trained chefs, bartenders and servers in the world. El Dorado Spa Resorts, by Karisma is an elegant collection of romantic adults-only resorts on some of the finest beaches in the Riviera Maya. Indulge in personal concierges and some of the best trained chefs, bartenders, servers in the world. A jewel on a mile long strand of pearl white beach. A private enclave dedicated to total luxury. Intimate elegance on one of the Top 10 beaches in the world. Home of one of the largest spas in the Riviera Maya. Located on gorgeous beaches in Riviera Maya, Mexico, Azul Beach Resorts, by Karisma, boast luxurious, family oriented accommodations, world-class cuisine, engaging kids and teens programs, secluded spaces for adults only, and two private beachfront villas. Perfectly sized casual elegance for families with young children. A family friendly beachfront resort designed to invigorate all five senses. A resort where everyone will rediscover their sense of wonder. Generations Riviera Maya, by Karisma, is Mexico's premiere All Suite, All Butler, All Gourmet resort, with spectacular oceanfront accommodations and oversized 1, 2 & 3 bedroom suites perfect for couples, families, weddings and groups. A family beach vacation for a new generation. Welcome to the world's only 5-star Au Naturel resort. With luxurious oceanfront accommodations and a private beach on the southern tip of Riviera Maya, Mexico, there's no place that makes you feel more comfortable in your own skin.